What has caused the decline? 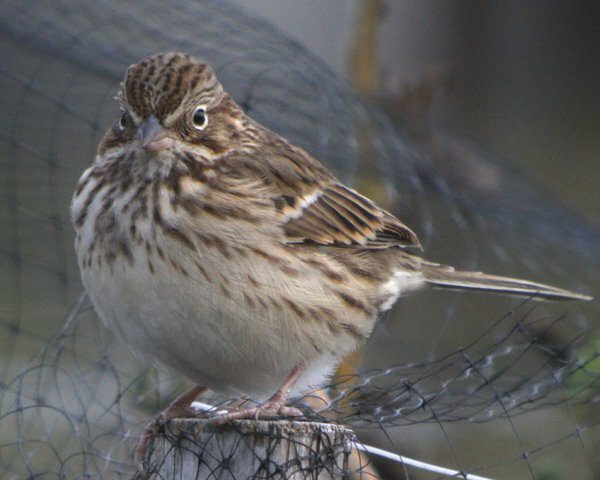 The precipitous plunge of Vesper Sparrow populations has been largely because of changing land use practices. 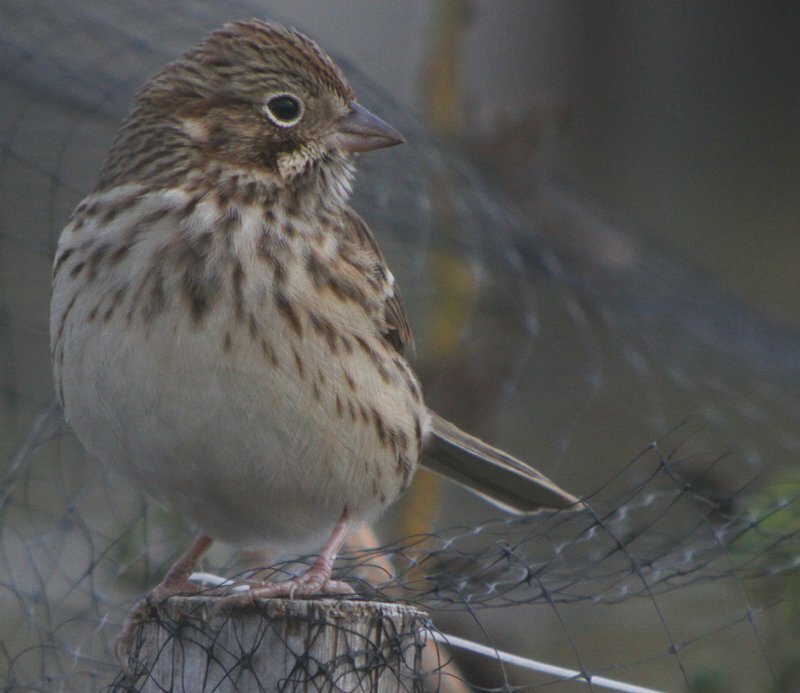 As farming has declined across the northeastern United States the open country that Vesper Sparrows need has been transformed to subdivisions and forest. Grassland birds have been hit the hardest across the northeast and Vesper Sparrows like closely cropped landscapes and eschew taller grasses, so they have been hit particularly hard. Fortunately, they are still common across the Great Plains and the species as a whole does not seem to be in trouble, just the eastern populations. 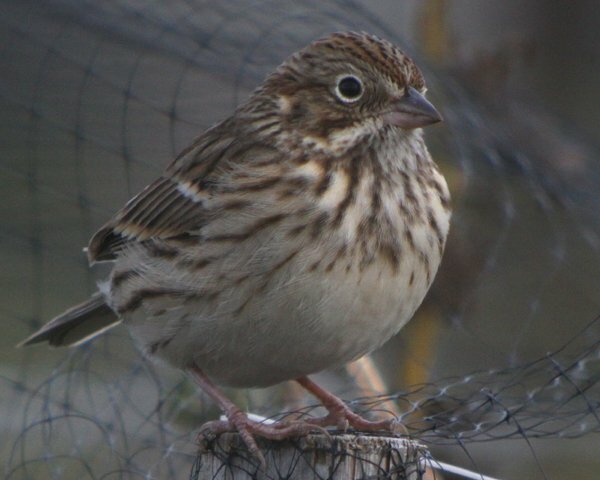 If you want to see Vesper Sparrows a look at the eBird map shows that you could do worse than the junction of North Dakota, Saskatchewan, and Manitoba, which looks like the Vesper Sparrow epicenter. Of course, it is the white outer feathers of that too-short tail that give Vesper Sparrows away when they are in flight, and their pale coloration and bright white eye ring when they are at rest. 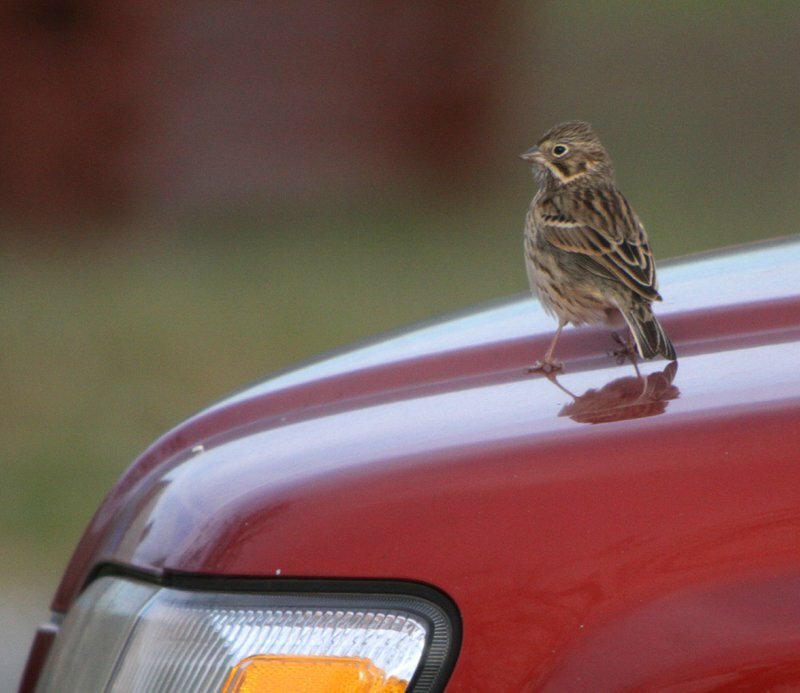 Though it seems like another brown streaky bird would be easily confused with Song Sparrows and Savannah Sparrows I have never had a problem picking them out from a mixed flock of sparrows. They really stick out when you see them with other little brown jobs. 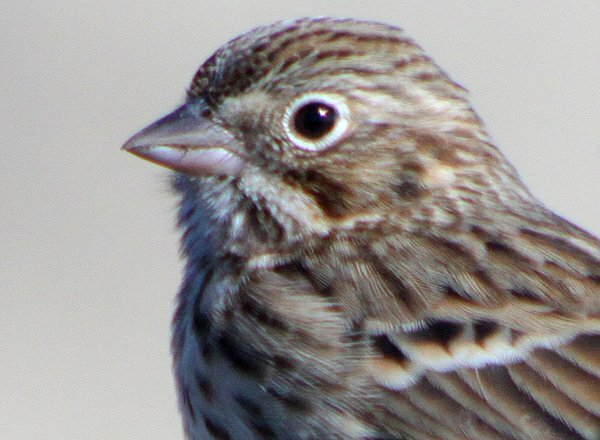 The Vesper Sparrow is named for its tendency to sing in the evening, right before the end of the day. Though I have never had the privilege of hearing their evening song I look forward to the day that I do. Until then, I will have to content myself with spotting them in migration in the fall, especially at coastal sights like Fort Tilden, Queens, where all of the shots in this post were taken. *All of this information was gleaned from The Second Atlas of Breeding Birds of New York State. Interesting. I’m used to seeing them skinny in the Spring out west. Yours look chunky indeed. This is the only “sparrow” that makes me accept “sparrows” are really buntings. 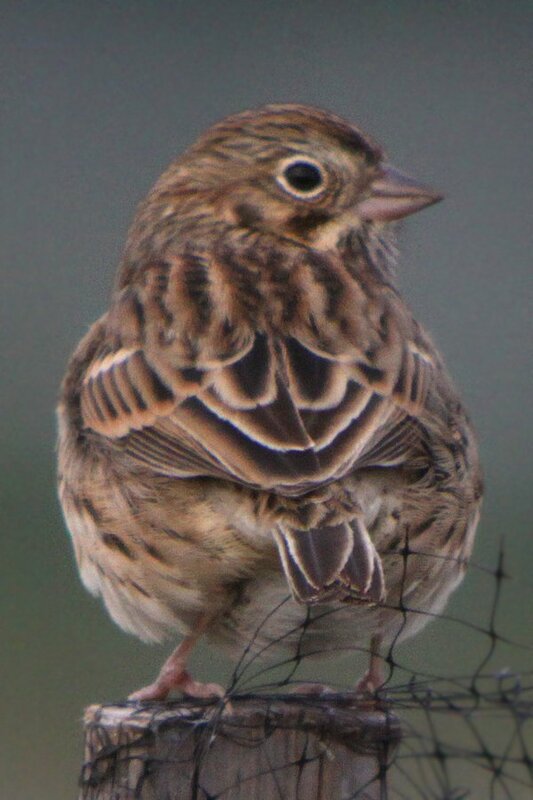 Seriously, this species would be in good company if placed within Emberiza. 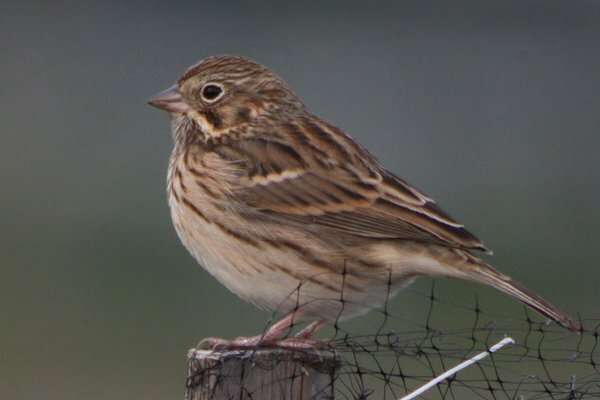 They really do look like under-nourished corn buntings, don’t they, Jochen? When Alison was teaching at Colgate, I found this bird to be surprisingly reliable in fall migration in the farmlands around Hamilton. Meanwhile, they seem to have essentially disappeared as breeders here in NJ–and I’ve seen a grand total of only two (!) in the state this autumn. Alas for the agrarian past and its birds! Hi wonderful site. I have a question, recently one of my cats brought a bird inside. It’s body colors looked like the vesper sparrow, but the beak was larger and long, somewhat like the shape of a hummingbird’s. I am going to continue checking your site, but I was wondering if you knew what kind of bird this may have been. The bird’s body was stocky. I only thought of taking pictures after my son was catching it. I did not want to disturb the bird at that point. He placed a sweat shirt gently over it and took it outside. When he uncovered it, it took off like a shot. Thank goodness. BTW we live in Southeastern Ohio and this just happened last week (3/26); could have been a bird passing through going north.